Keep in check, draw the line and square up to this year's fresh take on monochrome. As one of 2014's hottest trends, we love the vice versa of quirky patterns and simplicity of black on white. 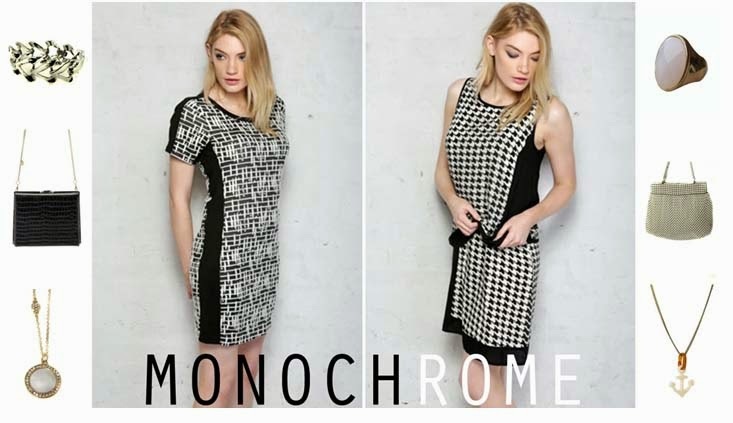 Check out the RMV offerings to this beautiful trend with these geometric dresses and bold accessories to complete your look.